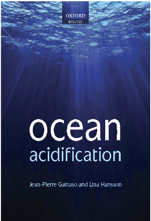 Enhancement of ocean alkalinity using Calcium-compounds, e.g. lime has been proposed to mitigate further increase of atmospheric CO2 and ocean acidification due to anthropogenic CO2 emissions. Using a global model, we show that such alkalinization has the potential to preserve pH and the saturation state of carbonate minerals at close to today’s values. Effects of alkalinization persist after termination: atmospheric CO2 and pH do not return to unmitigated levels. Only scenarios in which large amounts of alkalinity (i.e. in a ratio of 2:1 with respect to emitted CO2) are added over large ocean areas can boost oceanic CO2 uptake sufficiently to avoid further ocean acidification on the global scale, thereby elevating some key biogeochemical parameters, e.g. pH significantly above preindustrial levels. Smaller-scale alkalinization could counteract ocean acidification on a sub-regional or even local scale, e.g. in upwelling systems. The decrease of atmospheric CO2 would then be a small side effect. Ilyina T., Wolf-Gladrow D., Munhoven G. & Heinze C., in press. 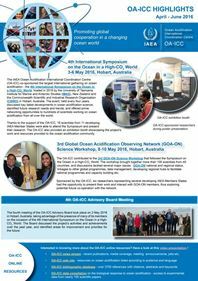 Assessing the potential of calcium-based artificial ocean alkalinization to mitigate rising atmospheric CO2 and ocean acidification. Geophysical Research Letters. Article (subscription required).